Not sure how much of an answer this is, but there will be too much text and links for a comment and hopefully it will help (maybe guide you to your answer). First off I know with my current project adjusting the sample rate will effect the speed of the sound, so you can try to play with those settings. But 44k is what I see in most default implementation including the apple example SpeakHere. However I would spend some time comparing your code to that example because there are quite a few differences. like checking before enqueueing. also good luck. I have had quite a few questions posted here, apple forums, and the ios forum (not the official one). With very little responses/help. To get where I am today (audio recording & streaming in ulaw) I ended up having to open an Apple Dev Support Ticket. Which prior to tackling the audio I never knew existed (dev support). One good thing is that if you have a valid dev account you get 2 incidents for free! CoreAudio is not fun. Documentation is sparse, and besides SpeakHere there are not many examples. One thing I did find is that the framework headers do have some good info and this book. Unfortunately I have only started the book otherwise I may be able to help you further. You can also check some of my own postings which I have tried to answer to the best of my abilities. This is my main audio question which I have spent alot of time on to compile all pertinent links and code. Some methods that I've used in the above code are methods you don't need to worry about, such as adding headers to each packet (I was creating my own protocol, you can create your own). For more info see this tutorial. Depending on your project, GKSession may not be suitable (especially if your project is realtime, or if you need more than 2-3 devices to connect simultaneously) it has a lot of limitations. You will have to dig down deeper and use Bonjour directly instead. iPhone cool projects has a nice quick chapter that gives a nice example of using Bonjour services. It's not as scary as it sounds (and the apple documentation is kinda overbearing on that subject). I noticed you use GCD for your multithreading. Again, if you are dealing with real time then you don't want to use advanced frameworks that do the heavy lifting for you (GCD is one of them). For more on this subject read this excellent article. Also read the prolonged discussion between me and justin in the comments of this answer. You may want to check out MTAudioProcessingTap introduced in iOS 6. It can potentially save you some hassle while dealing with AVAssets. I didn't test this stuff though. It came out after I did all my work. 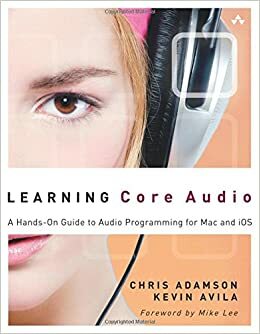 Last but not least, you may want to check out the learning core audio book. It's a widely acknowledged reference on this subject. I remember being as stuck as you were at the point you asked the question. Core audio is heavy duty and it takes time to sink in. SO will only give you pointers. You will have to take your time to absorb the material yourself then you will figure out how things work out. Good luck! You can find an example that uses this ring buffer if you download the example code of the book Learning Core Audio here (under the downloads tab). Jump to the chapter 8 example in a folder called CH08_AUGraphInput. However, if you are simply reading audio from a file, then using an (extra) ring buffer seems like an overkill.. A ring buffer comes in handy when you are having real time (or near real time) input and output (read chapter 8 in the said book for a more detailed explanation of when a ring buffer is necessary.. note that the example in chapter 8 is about playing audio immediately after recording it by a mic, which isn't what you want to do). The reason why I said extra ring buffer, is because in core Audio there is already an audio Queue (which can be thought of as a ring buffer.. or at least it in your case it replaces the need for a ring buffer: you populate it with data, it plays the data, then fires a callback that informs you that the data you supplied has been played). The apple documentation offers a good explanation on this one. In your case, if you are simply reading audio from a file, then you can easily control the throughput of the audio from the file. You can pause it by blocking the thread that reads data from the audio file for example. For a simple example of what I'm talking about, see this example I created on github. For a more advanced example, see Matt Gallagher's famous example. The unit reads and converts audio file data into its own internal buffers. It performs disk I/O on a high-priority thread shared among all instances of this unit within a process. Upon completion of a disk read, the unit internally schedules buffers for playback. A working example of using this unit on Mac OS X is given in Chris Adamson's book Learning Core Audio. The code for iOS isn't much different, and is discussed in this thread on the CoreAudio-API mailing list. Adamson's working code example can be found here. You should be able to adapt this to your requirements.